Two weeks ago, I penned a column for Forbes about the astonishing rise and fall of BlackBerry (“Bye Bye BlackBerry. How Long Will Apple Last?”), which somehow became the most widely-read and retweeted thing I’ve ever written in my life. I argued that BlackBerry’s story — indeed, the story of the entire U.S. smartphone sector — is the living embodiment of Schumpeterian creative destruction. Joseph Schumpeter’s “perennial gales of creative destruction” are blowing harder than ever in today’s tech economy and laying waste to those who don’t innovate fast enough, I argued, and nowhere is that more true than in the smartphone sector. I noted how, just five years ago, “BlackBerry” was virtually synonymous with “smartphones” and was considered one of the tech titans that seemed destined to dominate for many years to come. But now the BlackBerry’s days appear numbered and its parent company Research In Motion Ltd. is struggling for its very survival. 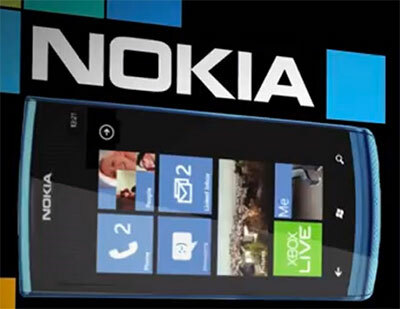 Nokia Corp., long the biggest name in the cellphone business, is scrambling to stay relevant in the smartphone age. On Wednesday the company warned things will get worse before they get better, saying that competitors are rapidly eating into its sales in emerging markets such as China and India. Nokia also said its newest phone in the U.S. had a software glitch that is preventing some users from connecting to the Internet, marring its attempt to fight into the world’s most important smartphone market. The company’s American depositary shares slid 16% to a 15-year low of $4.24 in New York. 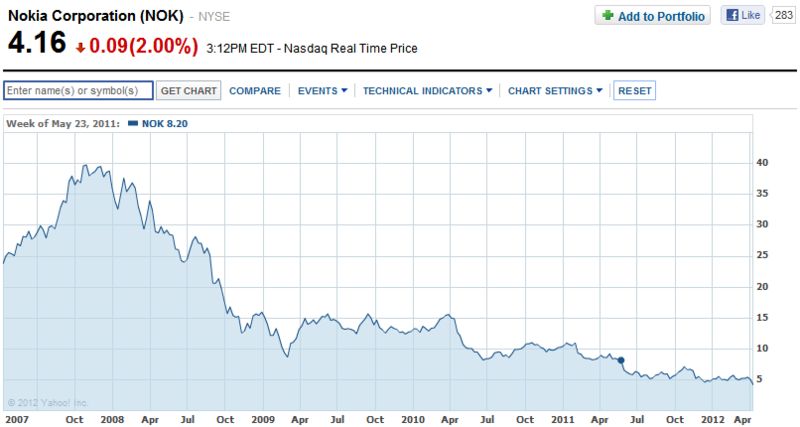 Its market capitalization now stands at $16 billion, down from $90 billion five years ago. The iPhone and Android had not yet landed. Most of the best-selling phones of 2007 were made by Nokia and Motorola. Feature phones still dominated the market; smartphones were still a luxury (and a clunky luxury at that). There were no app stores and what “apps” did exist were mostly proprietary and device or carrier-specific. There was no 4G service. And regulatory advocates like Tim Wu and the New America Foundation were running around saying that the FCC needed to pursue massive regulation of the cellular industry for a variety of silly reasons. Competition among the physical networks spins profits out to the virtual networks. Apple’s value (from iPhones and iPads) to the wireless industry was estimated in early February at $248 billion—about 92% of the enterprise value of the entire U.S. mobile-network sector. Apple owns not a single base station or wireless license; it builds no networks. And yet it has emerged, in four short years, as “dominant in the mobile market”—an unqualified assessment offered by Walter Isaacson in his superb Steve Jobs biography. I cannot find a more dynamic, Schumpeterian market on Planet Earth than today’s mobile marketplace. Everything and everyone has been upended in just 5 years. Not even Schumpeter could have imagined creative destruction on this scale.